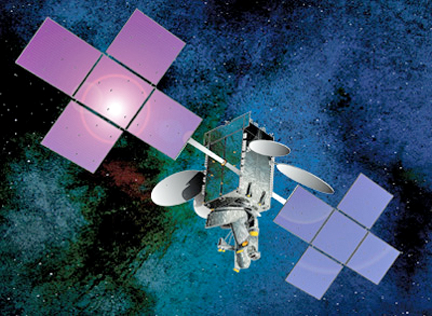 Intelsat S.A. (NYSE: I) has confirmed a multi-year satellite services agreement on Intelsat 19 with TV Plus, a DTH television provider servicing diverse communities in Australia. Artistic rendition of the Intelsat-19 satellite. Under the previously referenced renewal agreement, TV Plus will use Ku-band satellite services on Intelsat 19 to deliver global content to local viewers in Australia and New Zealand. Located at 166 degrees East, Intelsat 19 is a premier video neighborhood, reaching more than 37 million payTV subscribers. Intelsat is a leading DTH provider in the Asia-Pacific region, distributing content for media customers in Australia, Fiji, Papua New Guinea, French Polynesia and New Caledonia. John Jeremic, Director at TV Plus, indicated that Intelsat’s satellite services gives the company the foundation needed to innovate and stay ahead of competitors by using the latest technologies to deliver the best viewing experience for customers. TV Plus has worked with Intelsat for more than 10 years and have seen firsthand how their world-class video neighborhood has helped expand the audience reach. The company is able to cost-efficiently add more channels to the platform and deliver more programming to viewers while maintaining the same amount of satellite bandwidth. Terry Bleakley, Intelsat’s Managing Director, Asia-Pacific Sales, stated that there is a lot of opportunity for diverse programming in the Asia-Pacific region and consumers are demanding quicker access and more viewing options. Working with TV Plus and building upon the strong relationship established over the past several years has given Intelsat a greater understanding of the demand and the type of cost-effective satellite services that firm needs to reach a broader audience, with more high-quality programming options.